Why 11.13 and not 11.12? Because I picked up 11.12 here. Don’t know if I’m going to stick with the format, but I like it for referring back, so we’ll see. Tuesday – train wreck that have become Tuesdays. A friend asked if it might be in my head, and I’m honestly not sure. I was off kilter because I had to wait for a treadmill and the first didn’t work and then the second was too hot and… hot mess. TomTom counted them, but I didn’t take the mileage because I didn’t want them to bring down my spreadsheet averages. Couldn’t even make myself stay on the rower so I gave up and went home. Something better than nothing I suppose. 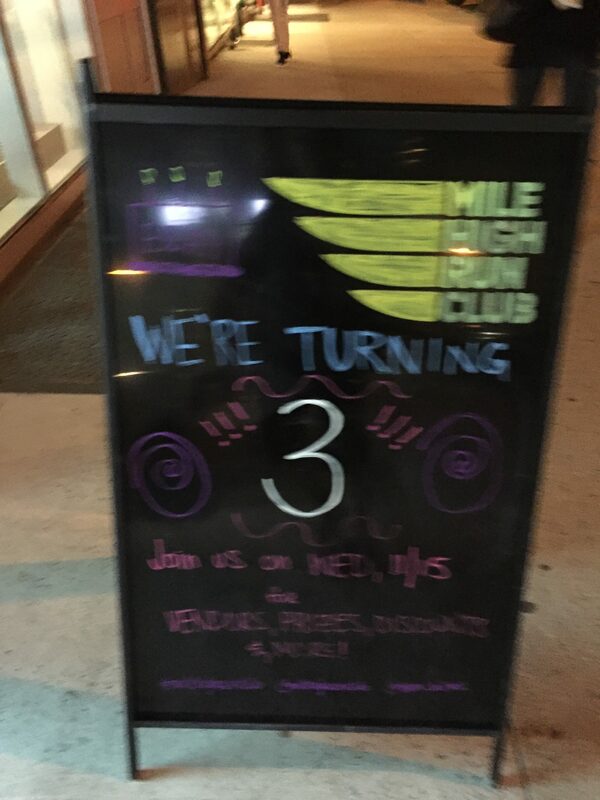 Wednesday I did what I should have done Tuesday – back to Mile High Run Club. I actually toyed with it, but NoMAD classes were sold out and I didn’t want to go to NoHo. So Wednesday I took advantage of their birthday flash sale and picked up a few classes and decided to go to one. I was glad to see it was Ryan as Cuckoo Lemon and I had a commentversation about him. How did it go? n short, awesome. It was the same Dash45 I took on Sunday and although the mileage was less, I think that was more a factor of when I hit the watch. I had a better understanding of what low/middle/high level 3s should feel like and I took the close out level 4 to 6.5! That was definitely motivating and inspiring. Coupled with some ridiculous late evening train service, it meant a nice step count at nearly 22K. 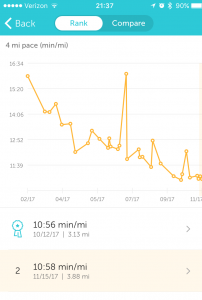 Thursday – off to such an extent I missed on Fitbit goal. Decided I didn’t much care, wanted an early night which was much needed. 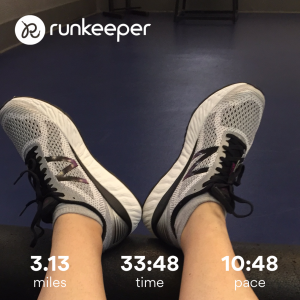 Friday – after dilly dallying and trying out the new Old Navy in Times Square, I headed to the gym where plan was to try out a new pair of shoes. The shoes went back, despite being the exact same shoe in a different color, they were too narrow. The results? They’re here to stay. A 5 second PR over last week. I was doing a consistent 5.5 on random hills but I knew staying at 5.5 wouldn’t do it, so I took the final .23 at 6.2. Happy with that result all around and it felt good. 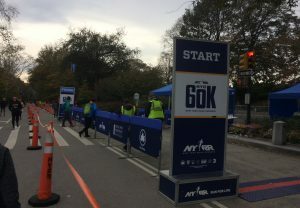 There’s something about people running a 60K that is just awe-inspiring. No interest in the distance, or running 9 laps of Central Park, but it’s just an amazing feat. For my own workout, I’d had a late start and knew a long run wasn’t in the cards so I headed up into the Harlem Hills for the first time in a month. The first mile was great, 10:52 and it was followed up by 11:37, 11:38 and 12:02 over the final half mile. I walked at the end of two/start of three to drink, and the final stretch involved navigating stairs with leaves to get to 3.5 so I know what that’s about. Surprised I didn’t pick up speed to close the end of mile 3. Either way, back to my old shoes on a beautiful day. Sunday – off. Just walking for errands and a gym date to foam roll. I needed an off day for my back and to prepare for this week. It meant no long run this weekend, but I felt that three this week were good quality. Meant a total of 15.7 miles (includes Sunday) which was a slight step back but one I’m OK with. Today’s errands included sending the evil shoes to infinity and beyond for a good cause, Gu shopping, and trying to get to the bottom of why pink 8.5s were fine but white weren’t. I came home with black so we’ll see. Good work and good plan for next week. 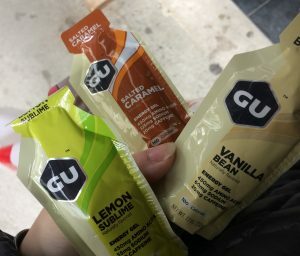 Warning; Gu Salted Caramel is the saltiest thing on Earth. Take plenty of water with it. I can still taste if I think about it too hard. July 2016 I had it. Oh great to know, thanks. I’ll make sure to try it when at the gym where I can immediately refill on water.